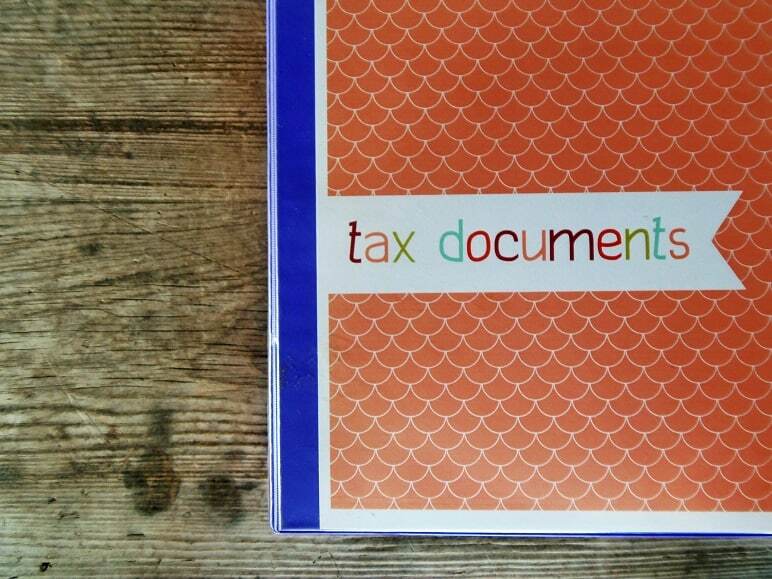 Taxes aren’t fun, but the right filing system can make them more bearable. 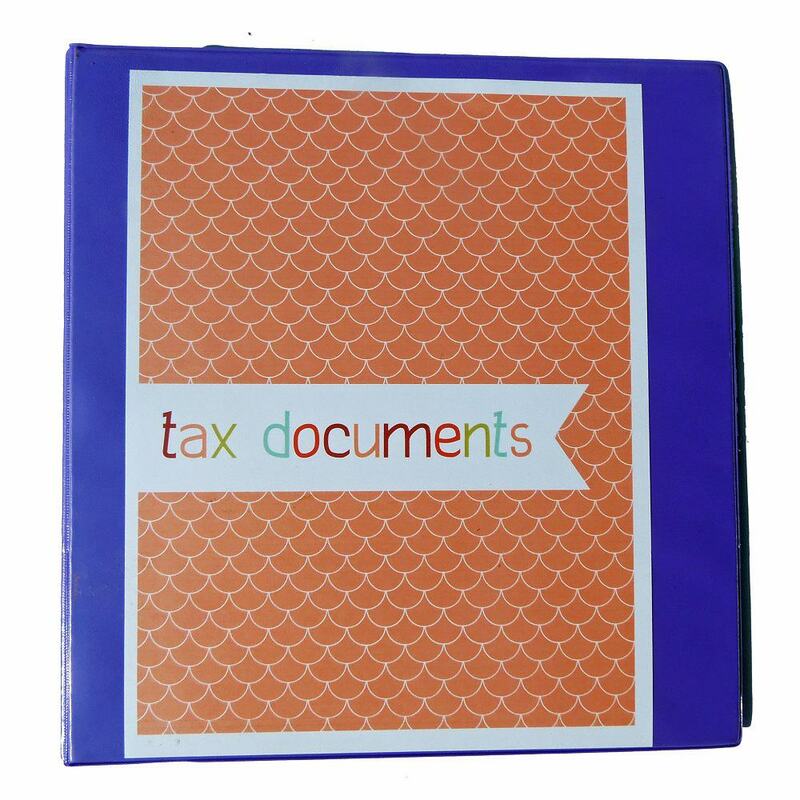 Set up a binder for your tax documents now, so you’ll have a place to stick all those receipts and other must-keep papers as they come in. Here’s a printable cover that you can use for your binder. It includes a front, back and spine. 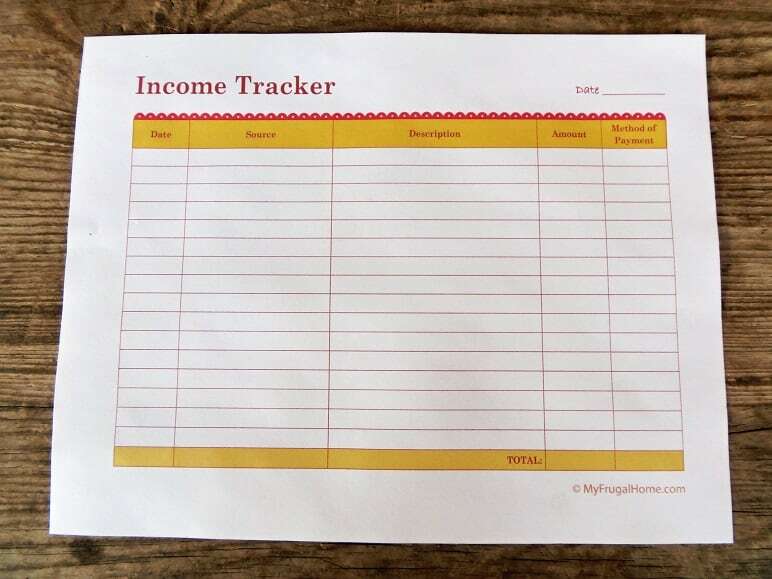 Here’s a free printable that you can use to track your income throughout the year. 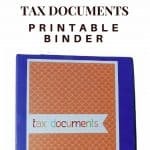 And here’s one that you can use to keep up with your tax deductions. 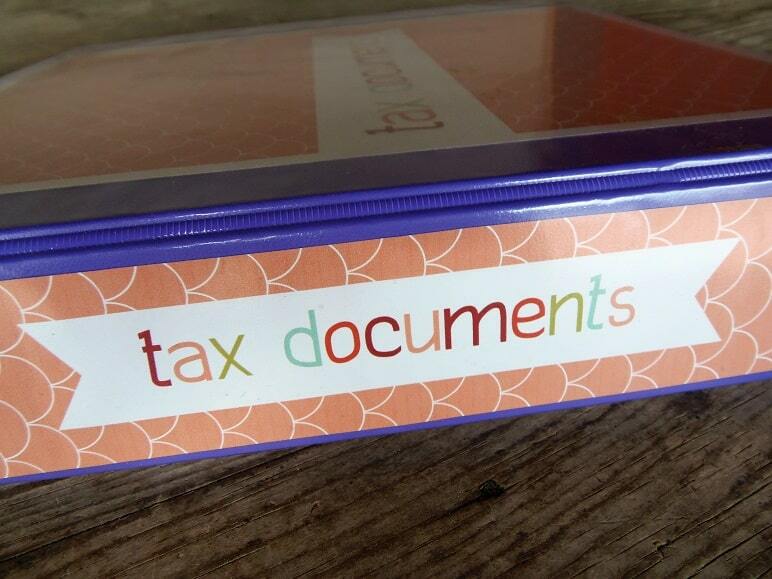 To make my life easier, I also bulk print copies of the tax forms that I use regularly at the beginning of the year. 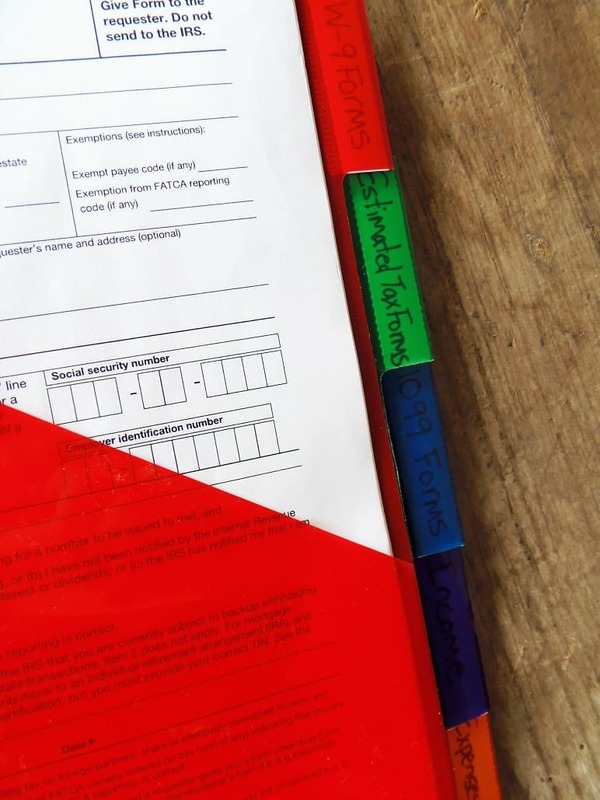 Need More Help Getting Organized? 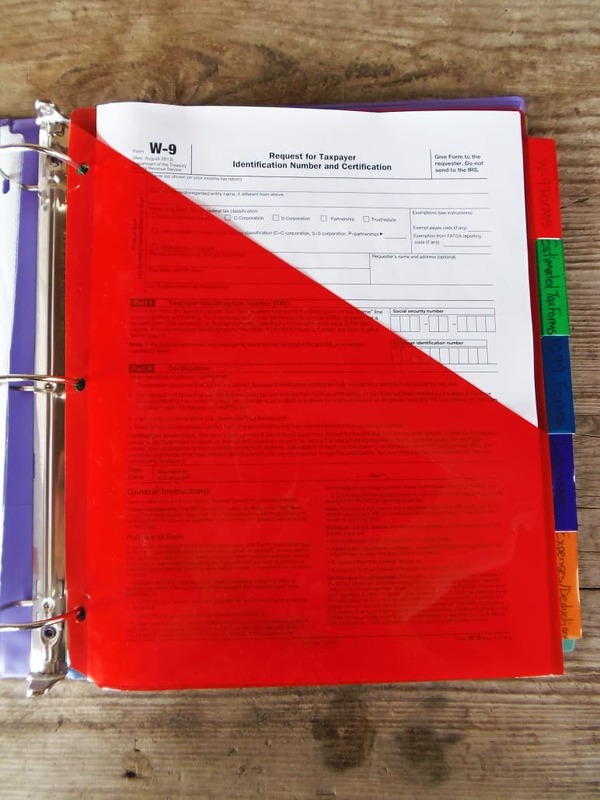 Then, be sure to check out the rest of my binder system. Doing taxes is really taxing. I pay almost all my bills with my credit that is paid off in full each month by my checking account. The rest are checks with a note on the check if it is deductible. Most credit cards online have a spreadsheet divided into categories like “Health.” I just highlight and print “health” after hitting the add button and then print. 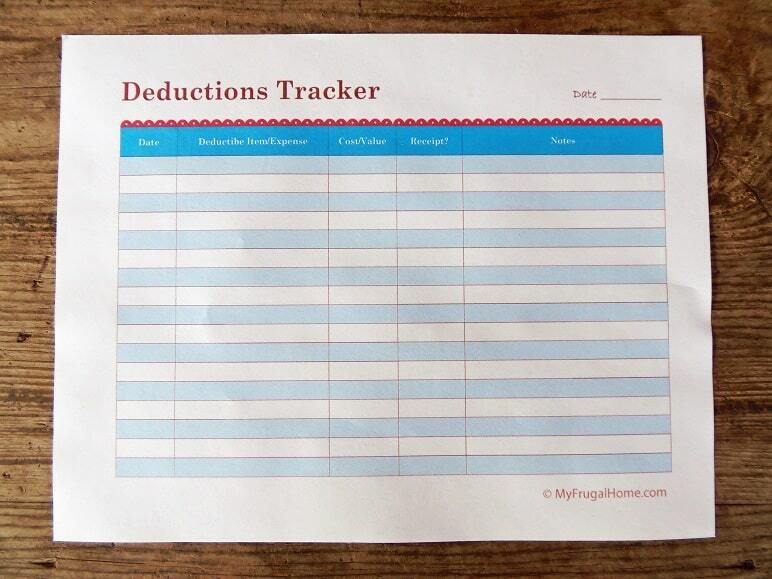 Next, I print up all my checks that are deductions and add them. Grab all the mail that is marked for income on the envelop. I’m done. I go to a CPA’s home and his advice has saved me thousands of $ and headaches. I don’t mean H and R Block as they have no incentive other than to say “next.” I think it is false economy not to have one.